It was not too many years ago that the role of chemotherapy for head and neck cancer consisted of single-agent methotrexate for selected patients with recurrent disease. In the past decade, multiple new agents, high-dose chemotherapy, combinations, and intra-arterial approaches have been used for the patient with recurrent disease. Wheeler critically assesses the current status of these approaches. When oncologists began testing chemotherapy in the combined modality approach, trials consisted of induction chemotherapy and use of single agents as radiosensitizers. Although a great deal has been learned from these trials, benefit in terms of survival has been marginal. Even more promising may be the concomitant use of combination chemo- therapy and radiation. Taylor describes the encouraging results as well as the potential. Induction chemotherapy may have a second important goal in addition to improving curability-it could be used for organ preservation. Dimery et al., present the background for this approach in the patient with laryngeal cancer as well as a description of their randomized trial for voice preservation. 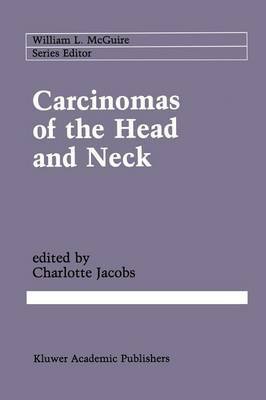 Head and neck squamous cancers are a heterogeneous group of diseases, and surgeons have long sought parameters that will help predict outcome.